Fifty members of the Jordanian Parliament signed a petition yesterday urging the government to summon the Jordanian Ambassador to Israel, Walid Obeidat, in protest against the “unilateral and racist practices” of the occupation authorities. In the petition, which was introduced by MP Mustafa Yaghi, the members of the Jordanian parliament demanded the action be taken as a response to the Israeli Knesset’s ratification of a law that would subject Jerusalem to Israeli sovereignty, which would pave the way for expelling Palestinian people from Jerusalem. The petition was launched to protest against Israel’s solo and racist moves that do not respect any agreement, it said. On 6 December, US President Donald Trump announced his decision to formally recognise a united Jerusalem as Israel’s capital and plans to move the American embassy to the occupied city. The decision was severely condemned by numerous foreign and Arab countries around the world. It has also sparked angry demonstrations across the occupied Palestinian territories and in several Muslim countries. Israel has increased its racist policies against the Arab residents of Jerusalem in the wake of Trump’s decision and has cracked down on protesters arresting more than 600 since Trump announced his decision. It has also targeted journalists who have been highlighting its heavy-handed response to unarmed protesters. Thousands of Jordanians took to the streets after Friday prayers to protest the US president Donald Trump’s recent decision to recognize Jerusalem as Israel’s capital and move the US embassy there. Many popular marches were launched in the Jordanian capital of Amman in solidarity with the Palestinian people and in rejection of the US decision. The participants stressed that Jerusalem will remain the eternal capital of the state of Palestine and hailed the latest UN General Assembly resolution rejecting Trump’s move which is aimed at altering the status quo in Occupied Jerusalem. Hundreds of demonstrators marched in the southern areas of al-Karak, Aqaba, Tafilah and Ma’an in support of Jerusalem against the US recent decision. 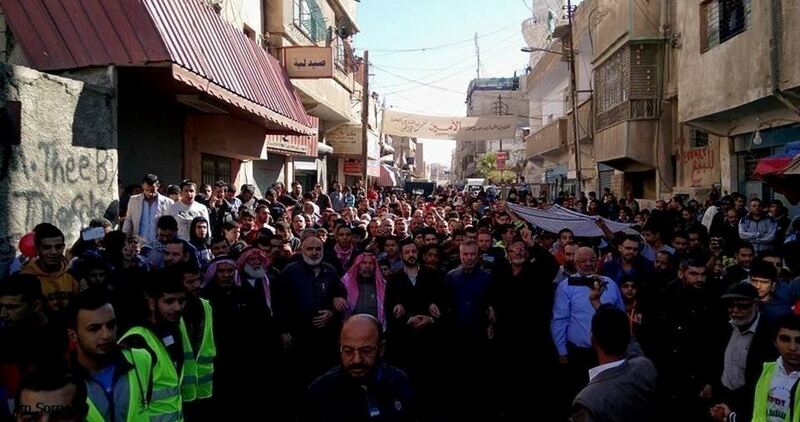 A number of protests were staged in northern Jordan in Irbid, Jerash and Zarqa with the participation of several prominent religious figures against the US “reckless” recognition of Jerusalem as the capital of Israel. Protesters waved Palestinian and Jordanian flags and chanted slogans stressing the Arab and Islamic identity of Jerusalem and condemning the US and Israeli policies. 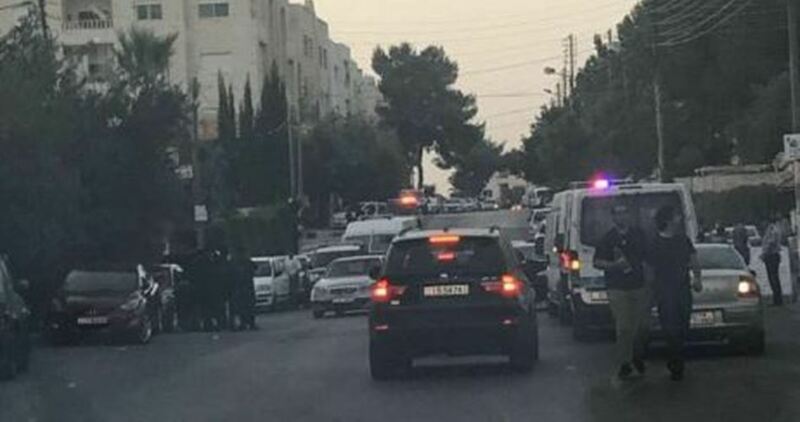 BETHLEHEM (Ma’an) — The Jordanian government is reportedly refusing to allow the return of the Israeli ambassador to the country, more than a month after an Israeli embassy security guard shot and killed two Jordanian citizens, Israeli news website Ynet reported on Thursday. A coalition led by the political arm of the Muslim Brotherhood has won 76 seats in yesterday’s local and provincial elections in Jordan, according to a coalition member. The National Alliance for Reform won 25 seats in provincial councils, out of the 48 seats the bloc vied for,” Murad Al-Adayla, head of the election panel at the Islamic Action Front (IAF), the political arm of the Muslim Brotherhood group, told the Anadolu Agency today. The National Alliance for Reform is a broad coalition of parties led by the IAF. Al-Adayla said the bloc also won the seats of three municipal chiefs, including the provincial industrial city of Zarqa. “At the level of local councils, the coalition won 41 seats, out of 88 candidates,” he said, adding that the bloc has also helped three candidates, who were not on the coalition lists, to win the seats of municipal chiefs during the polls. Official results are yet to be announced. Over 1.3 million people – or 31 per cent of those eligible – voted in yesterday’s local and provincial elections, according to the country’s election commission. A total of 6,622 candidates competed for 2,109 local council seats and 350 in provincial council seats. The election was held under a new “decentralisation law” that was adopted in 2015. According to the law, each of Jordan’s 12 provinces will have an executive council, appointed by the government and headed by the provincial governor, in addition to a provincial council, three quarters of whose members are elected while the rest are appointed by the government. 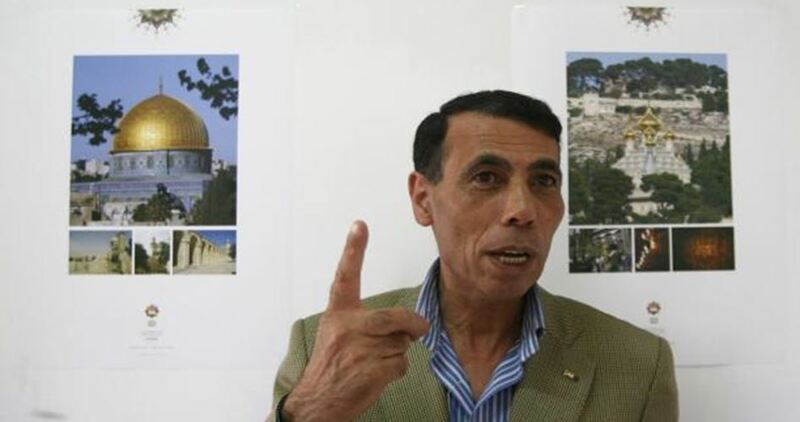 Fatah leader Hatem Abdul Qader warned Monday of Israeli intents to rob Jordan of its sovereignty over al-Aqsa Mosque—the third holiest site in Islam. Abdul Qader’s remarks were released in response to an Israeli demand urging Jordan to hand over a list of newly-appointed guards at al-Aqsa. According to the Fatah leader, Israel’s meddling in al-Aqsa’s administrative affairs dovetails underway schemes to impose a new fait accompli on al-Aqsa and grab hold of the site. King Abdullah II of Jordan is expected to pop in Ramallah on Monday, in the first such visit since 2012. 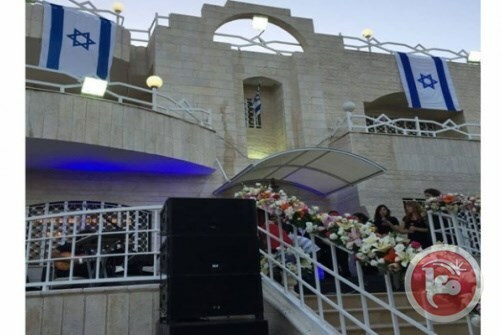 The stopover comes a few weeks after tension has reached a zenith at al-Aqsa Mosque and also after two Jordanian nationals were killed in the Israeli embassy in Jordan by an Israeli security guard. A mass-rally was held by Hamas on Thursday evening in the Lebanese city of Sur (Tyre) to speak up for holy al-Aqsa Mosque. 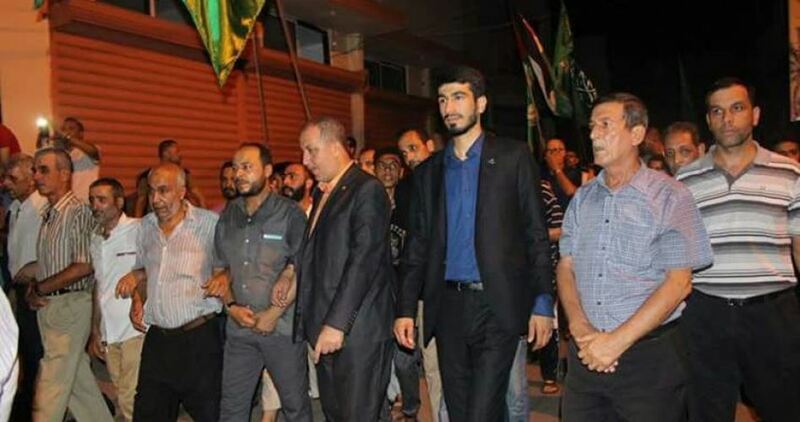 Hamas leader Jihad Taha and Abdul Majid al-Awad, along with a number of scholars and civil society representatives, joined the rally. Taha said Israel’s removal of the metal detectors and security installations around al-Aqsa Mosque is a historic victory achieved by the Palestinians. “Israel’s criminal policy will never dampen our people’s spirits. The Palestinians will keep yearning for victory and freedom until every single inch of the occupied territories is liberated,” added Taha. “The only way to retrieve our rights is to prop up resistance and anti-occupation uprisings,” the Hamas leader further stated, calling on Arabs and Muslim to stand up for al-Aqsa and the Palestinian cause. 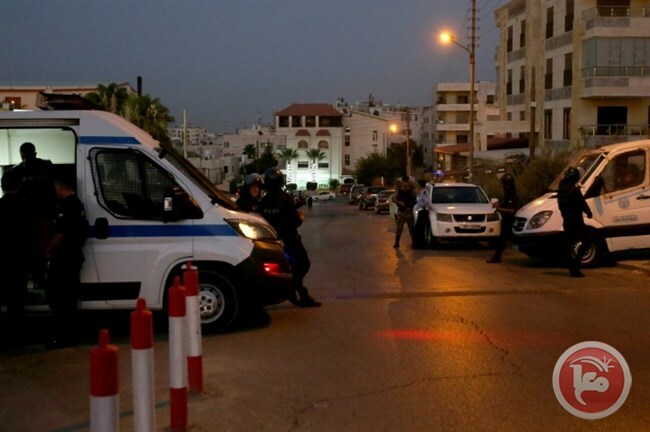 BETHLEHEM (Ma’an) — The Jordanian government has made a decision not to allow the Israeli ambassador to Jordan and the embassy staff to return to Amman until “gaining complete assurances” guaranteeing that the Israeli embassy guard who shot and killed two Jordanians will be prosecuted in Jordanian court, Jordanian media reported on Thursday.Staff members of the Israeli embassy to Jordan, including a security guard referred to only as Ziv — who killed Jordanian citizens Muhammad Zakariya al-Jawawdeh, 17, and Bashar Hamarneh in what Jordanian media and officials said was a professional dispute — had returned to Israel on Mondaynight after a day of high tensions following the shooting incident.According to Jordanian media, head of the Jordanian Royal Hashemite Court Fayez al-Tarawna confirmed during his visit to al-Jawawdeh’s home on Thursday, that the Jordanian government would continue to follow up with the case in accordance to international diplomatic laws in order “to achieve justice.”Official Jordanian news agency Petra reported on Monday that the case had been referred to a prosecutor for further legal steps, as Jordan and Israel have sparred over whether the security guard should be handed over to Jordanian custody.Israel, meanwhile, has refused to allow Jordanian authorities to question the injured Israeli security guard, citing his immunity under the Vienna Conventions — a body of international law which Israel has been accused of regularly violating.Relations between Israel and Jordan were already tense before the Amman shooting, as Israeli authorities had installed increased security measures in the Al-Aqsa compound, which is under Jordanian custodianship, following a deadly shooting attack on July 14.The move has sparked protests from Palestinians, who said it was the latest example of Israeli authorities using Israeli-Palestinian violence as a means of furthering control over important sites in the occupied Palestinian territory and normalizing repressive measures against Palestinians. Major solidarity protests were also staged in Amman. Seven Palestinians and three Israelis have been killed since the attack, and at least 1,090 Palestinians have been wounded during demonstrations which were violently repressed by Israeli forces across the occupied Palestinian territory. Israel has since seemingly backed down at Al-Aqsa after two weeks of protests, although the Knesset has meanwhile pushed forward legislation seeking to consolidate Israeli sovereignty over all of Jerusalem. The PSD added in a statement that preliminary investigations indicate that the two Jordanians had entered the embassy’s compound to do carpentry work. Citizens of Saudi Arabia, Bahrain, the United Arab Emirates (UAE), Egypt and Jordan are outraged for cutting ties with Qatar for splitting families and destroying peoples’ livelihoods and educations. The states involved in sweeping measures are violating human rights and people have taken to social media to object to the arbitrary measures. 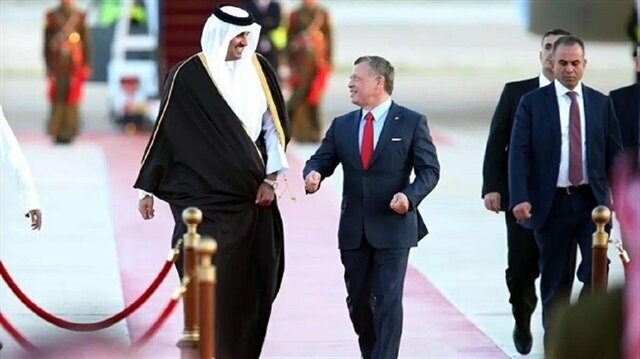 Jordanian citizens reportedly shared messages of solidarity with the hashtag “Jordan stands beside Qatar,” according to an article by the Middle East Monitor. “When Gaza was drowning in darkness, only Qatar supported them,” said one user. Jordan said it would downgrade diplomatic relations with Qatar on Wednesday.